The embellishment trend and eveningwear go hand in hand. The perfect opportunity to play dress up, this is your chance to shine with some of the season’s most beautiful additions, from glamorous embroidery to crystals and sparkling sequins. We’ve fallen head over heels for this full-on showstopper. Probably not quite what would come to mind at the mention of embroidery, the Bretagna Maxi Dress by Pinko overhauls a traditional finish and gives it a glamorous makeover for the new season. The stuff of dreams. If you prefer something a little lower key, even after dark, the embellishment trend can still work for you. 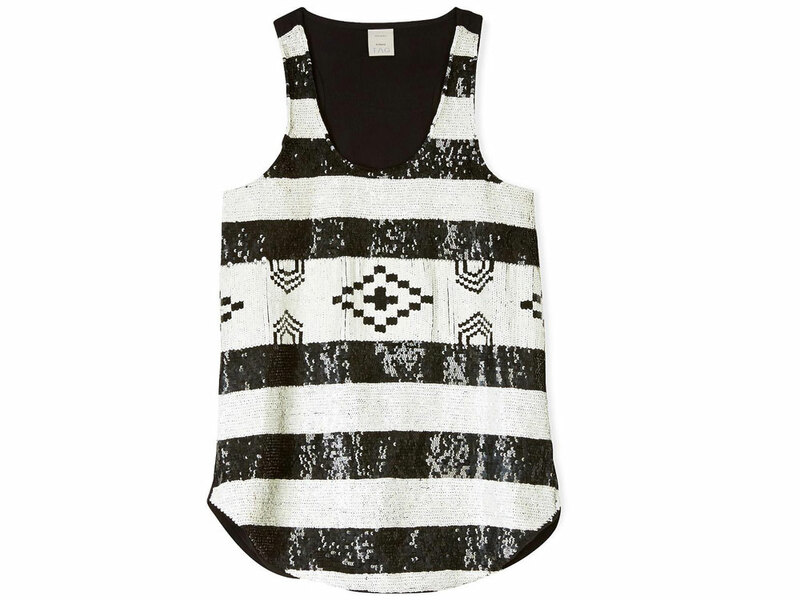 Add some serious sparkle to a casual vest and you’ve got the striking Scultura Sleeveless Top by Pinko. Wear with denim, smart trousers, or tucked into an A-line mini. Don’t overlook your accessories when you’re investing in this trend: Luxe jewellery is a must for giving a SS15 twist to all of your current eveningwear staples. 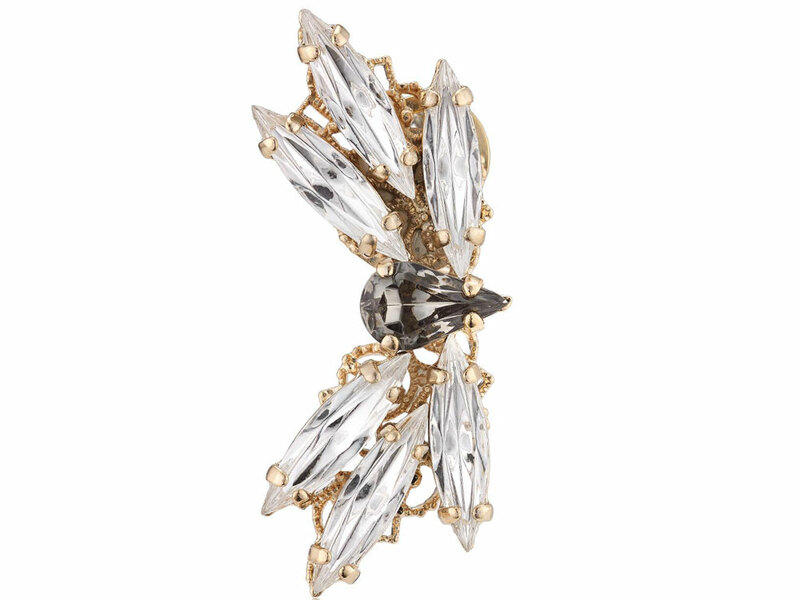 Snap up these Anton Heunis Dragonfly Motif Crystal Cluster Earrings and add a touch of playful elegance to that LBD.